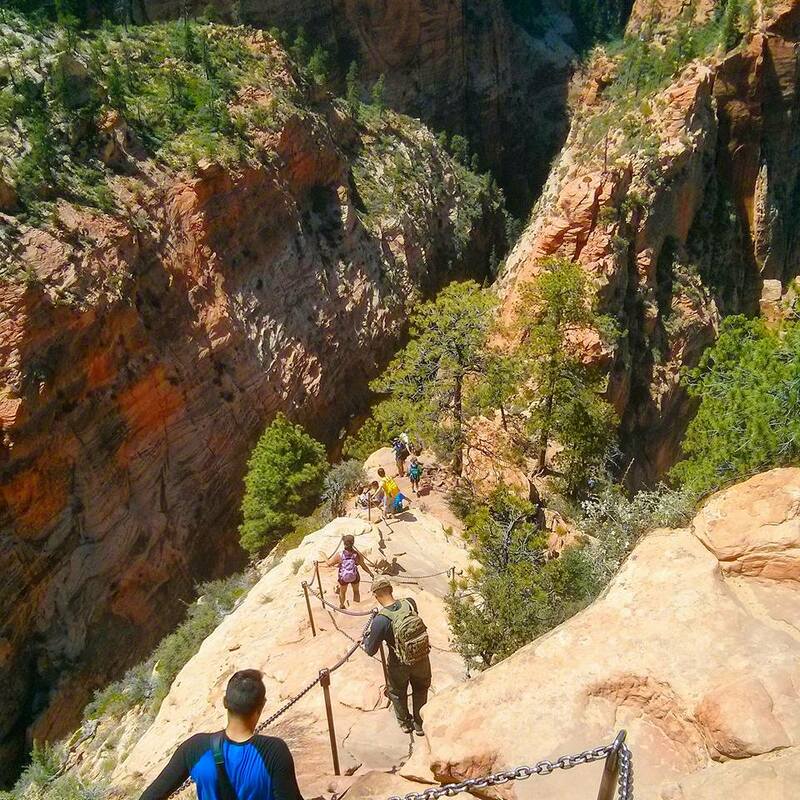 The Angel’s Landing Trail in Zion National Park is without a doubt one of the most exhilarating hikes of my life. 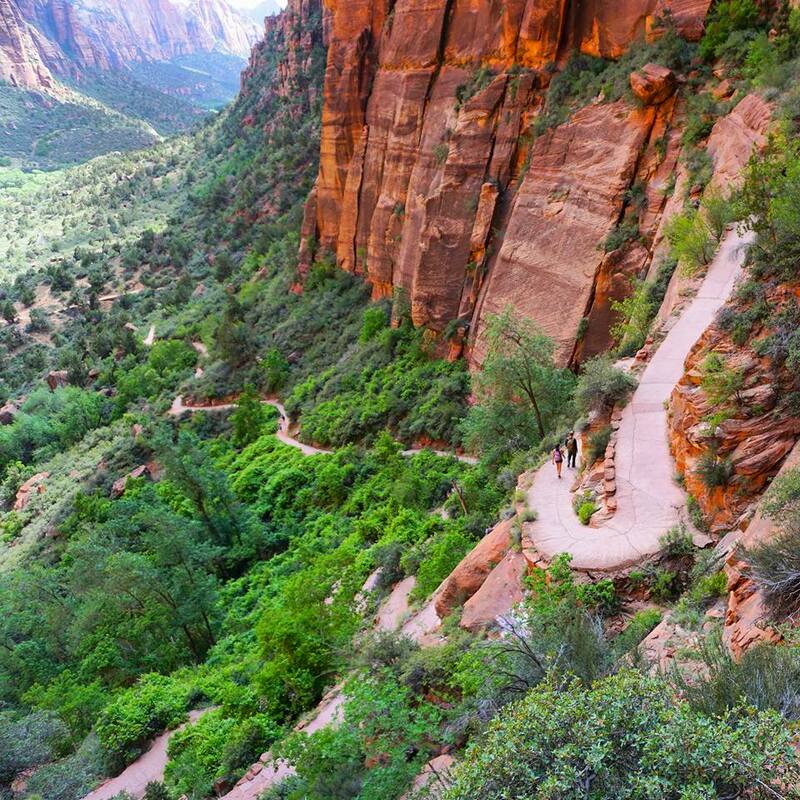 Despite its intimidating path, this hike is one of the most famous in Zion and the national park system. 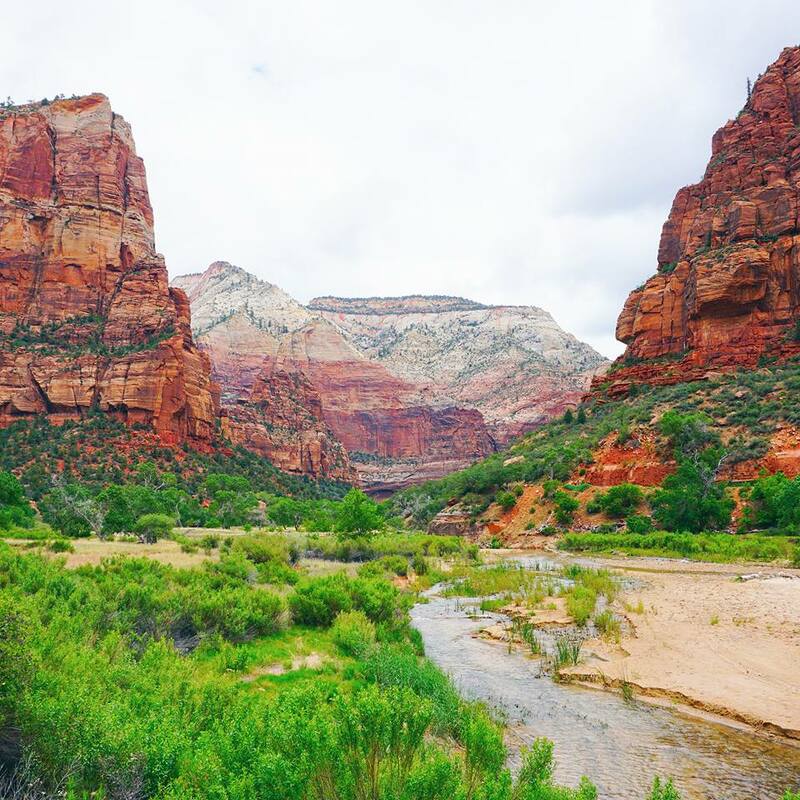 If you’ve been following along with me on Instagram, you will have noticed my countless photos of Zion National Park. I can’t help it, the park was amazing and it’s impossible to take a bad photo there! 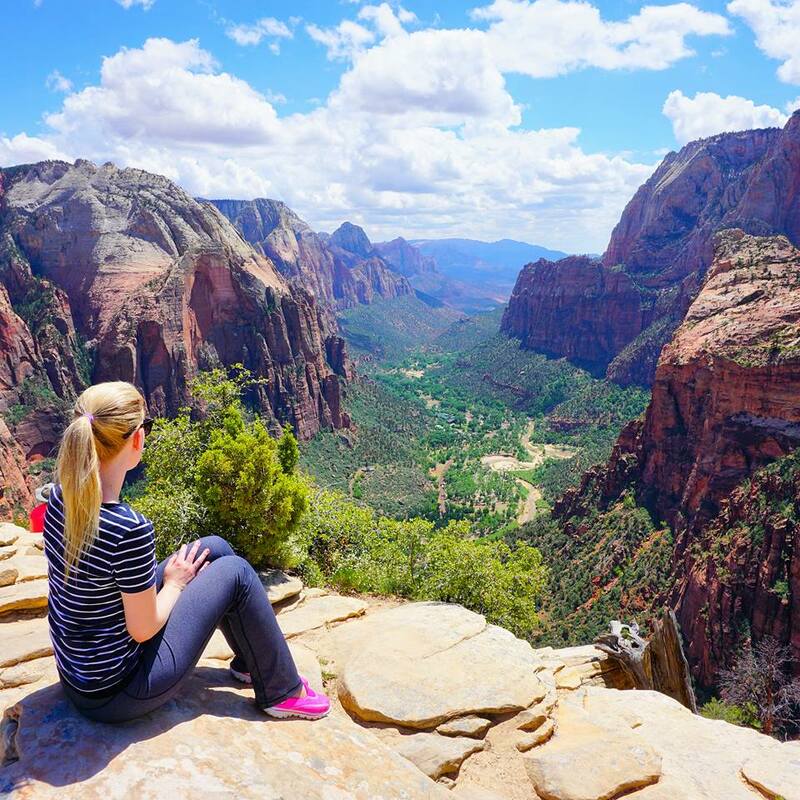 It was a few years ago that I discovered Zion National Park and knew it was a place that I needed to visit someday. 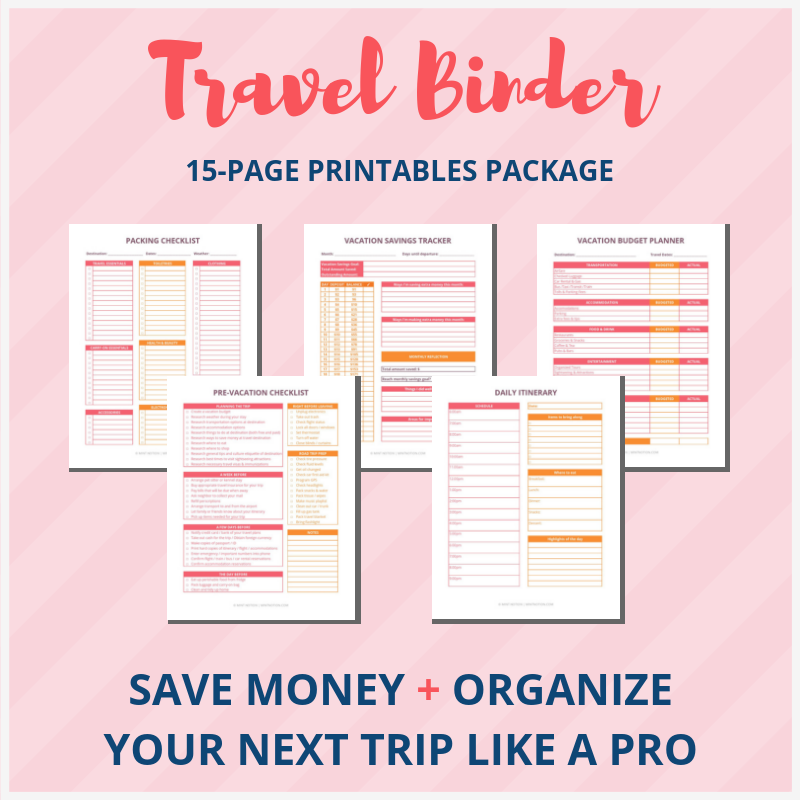 When we booked our trip to Las Vegas, we decided to spend a couple of days off the Strip and explore some nearby parks, including Valley of Fire State Park. Zion was just over a two and a half hour drive away. Parking is limited at the park entrance, and if you arrive after 10:00am you may have to park on the street just outside of the park. 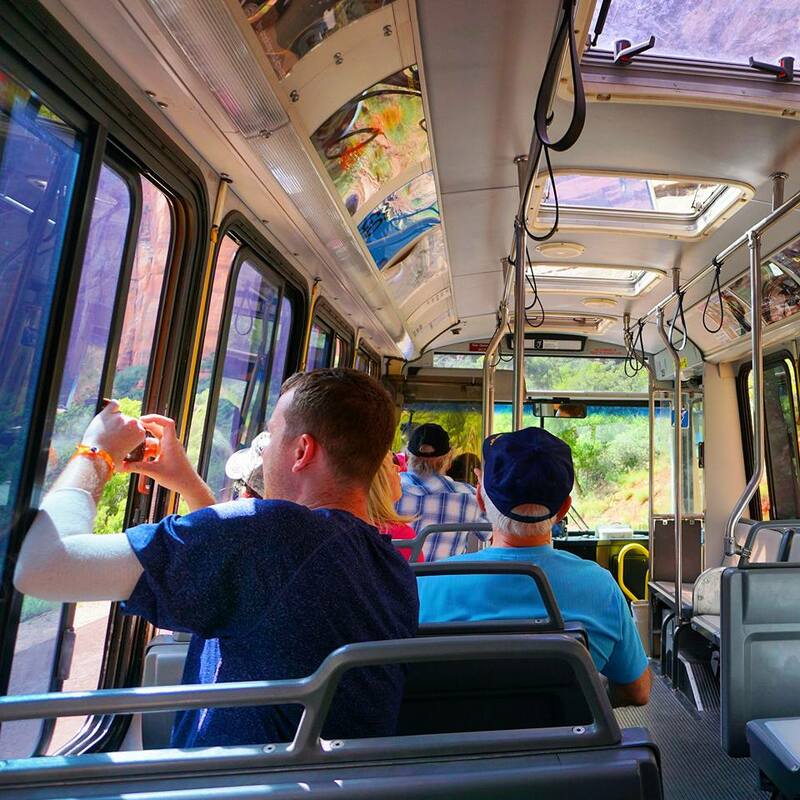 There are free shuttles available that make frequent trips to and from the park which provides easy access for guests. While you can drive through the park, access into the canyon is by free shuttle bus only (from April to October). Difficulty: Strenuous (uphill) exposed day hike. Not recommended for young children or those with a fear of heights. While the trail can be accessed year round, the best times to go are during the spring and fall seasons. Summer can be hot and there may be ice or snow during the winter. 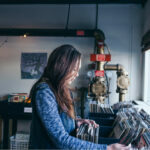 The best time for photos are in the early morning or late afternoon when the lighting is nice. 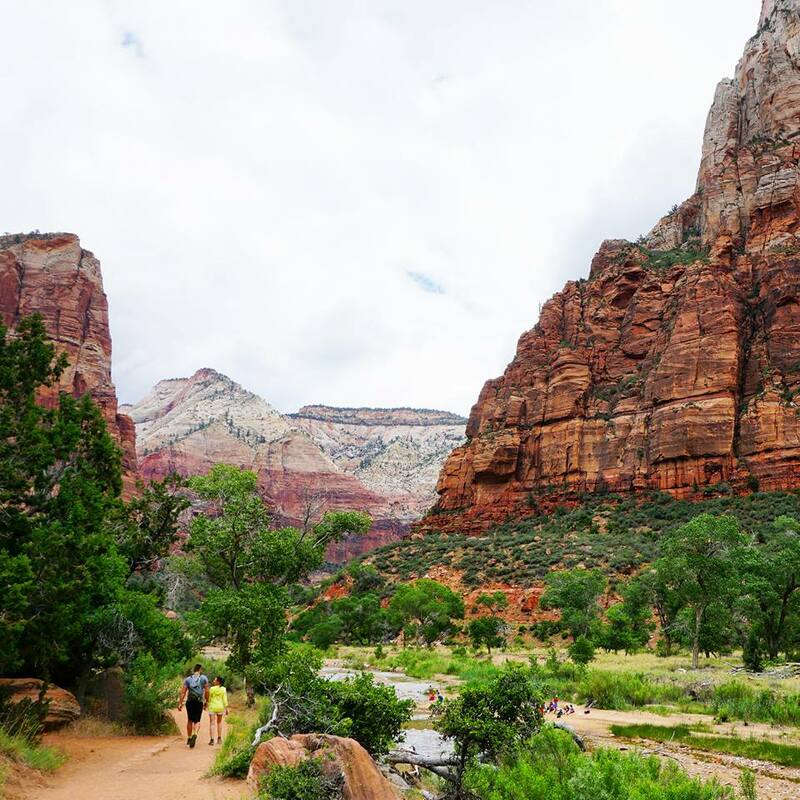 The first part of the hike crosses the hiker’s bridge over the Virginia River and follows the paved trail north and up the west side of the canyon, known as the West Rim Trail. 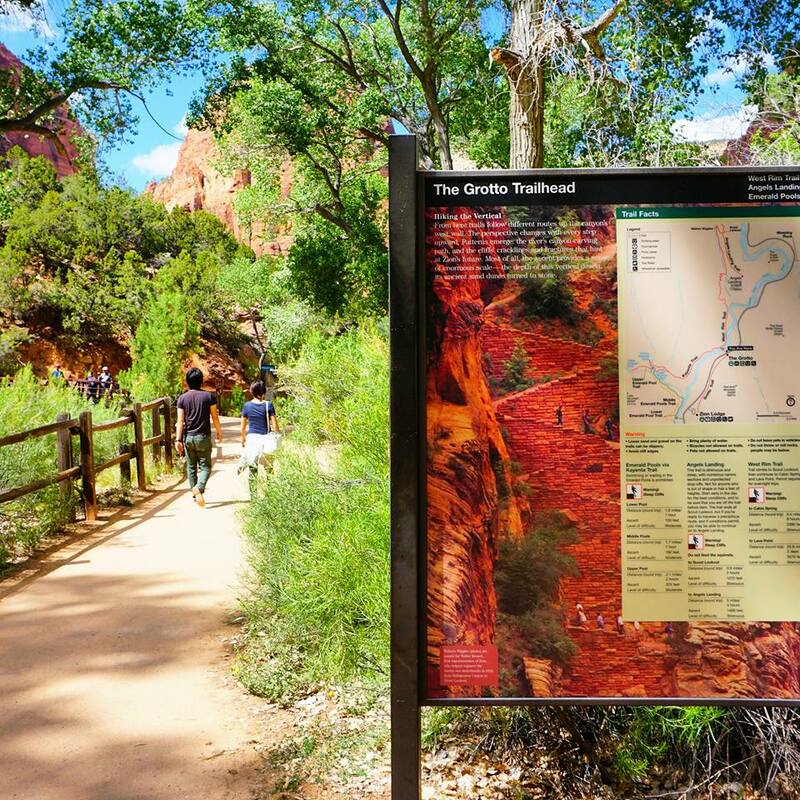 This trail is well maintained, but is quite steep and strenuous in the sun until you reach Refrigerator Canyon which offers shade and a cool breeze. Walking is easy here before the steep incline begins again at Walter’s Wiggles: a set of many compact switchbacks that gains elevation quickly. 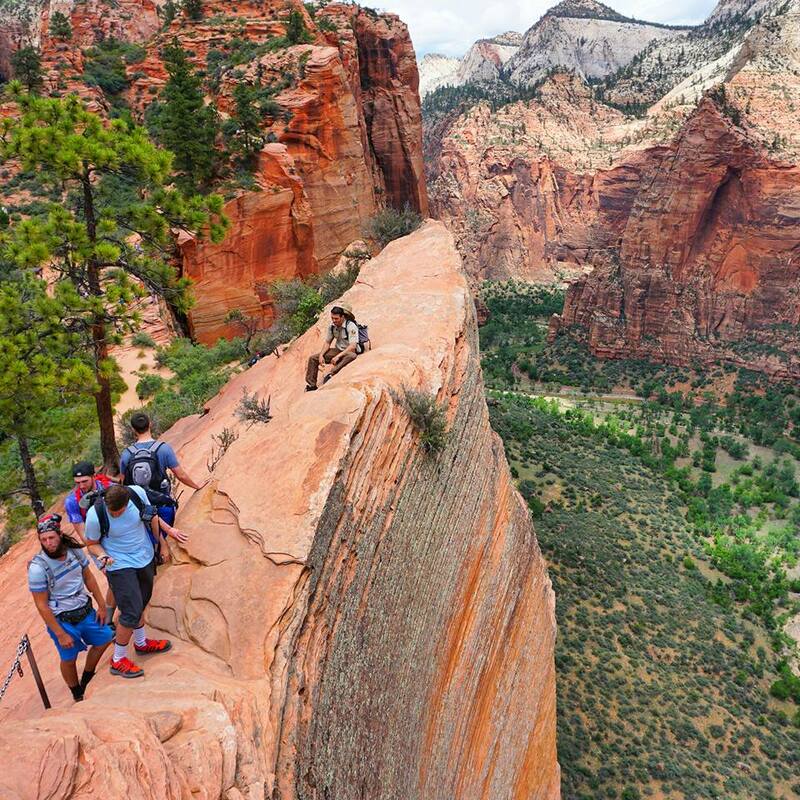 The Wiggles take you to the top of the ridge which provides incredible views of Angel’s Landing and the main canyon below, known as Scout’s Lookout. 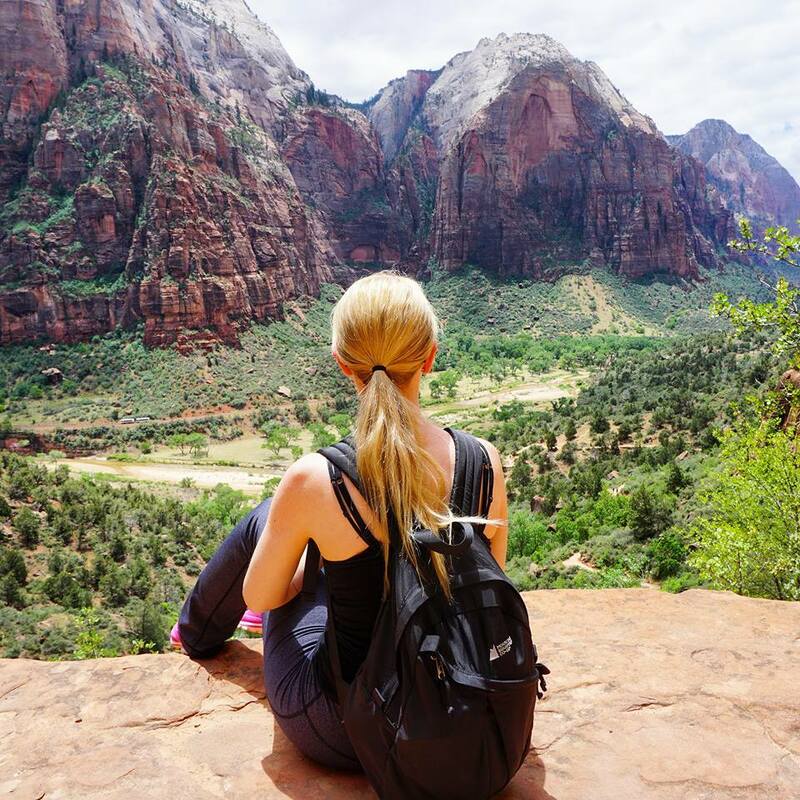 Many people choose to end the hike here by having a picnic and enjoying the views. 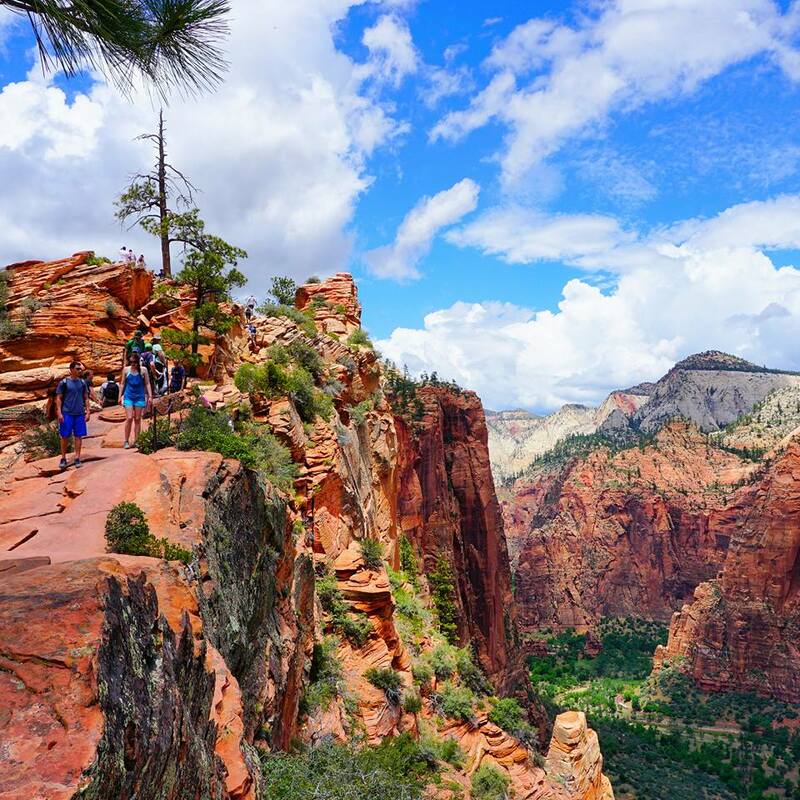 The last half-mile of the hike is an exhilarating experience as you walk up the narrow sandstone ridge to the top of Angel’s Landing. A support chain is attached along some sections which I highly recommend using as there are many exposed sections where you can look down on both sides of the canyon below. 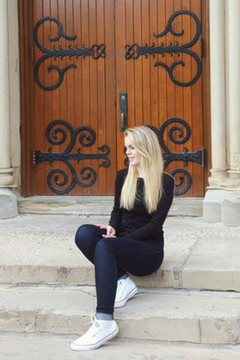 There are several small areas available for resting if you need to catch your breath or let other people go by. Depending on the time of day, it can get quite busy and you may have to wait for other people to pass. 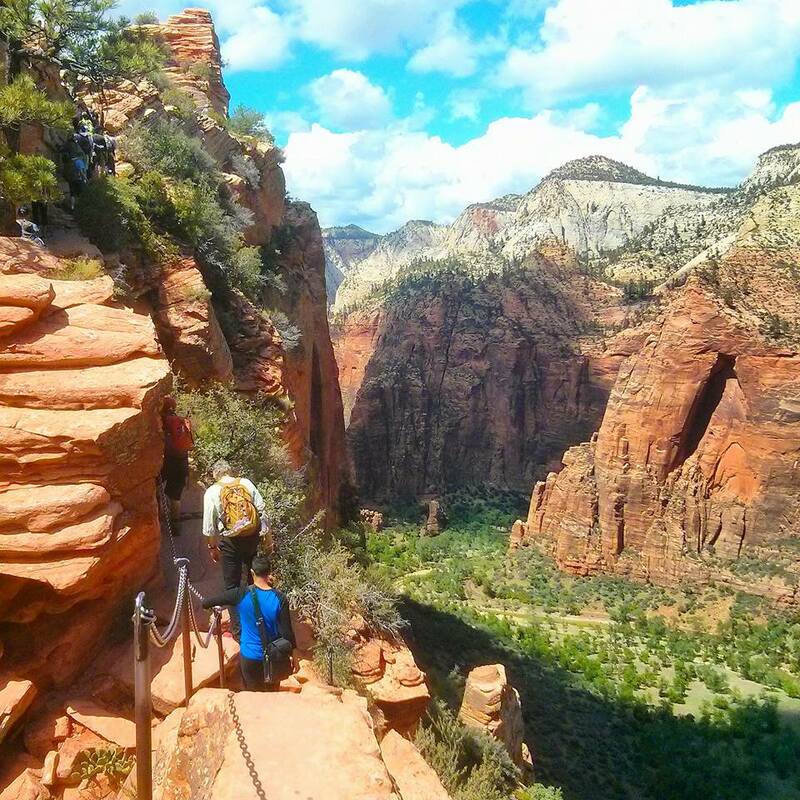 Once you reach the top, you’ll be rewarded with an amazing 360-degree view. When you’re ready to leave, return the way you came. 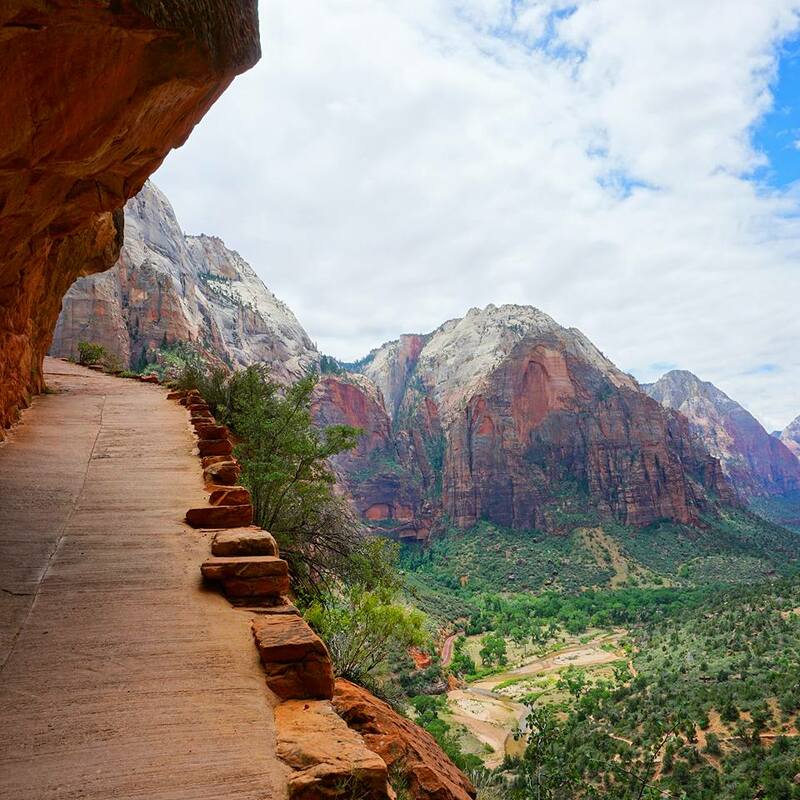 The hike back down is less strenuous, but it’s important to keep an eye on your footing. Some steps may not be long or wide enough for your whole shoe, so maintain focus on be alert. Summer afternoons can be hot and quite busy. Your hiking pace may be slower or faster than others, so always remember to be courteous and don’t be afraid to take your time since there is not much room for error. 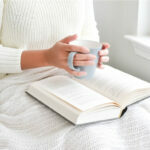 If others want to pass you, reach a safe point to take a break and let them go by. There is no reason to feel that you need to rush up or down the trail. I recommend wearing comfortable shoes that offers a good grip; some areas may be slippery if there is sand on the rocks. 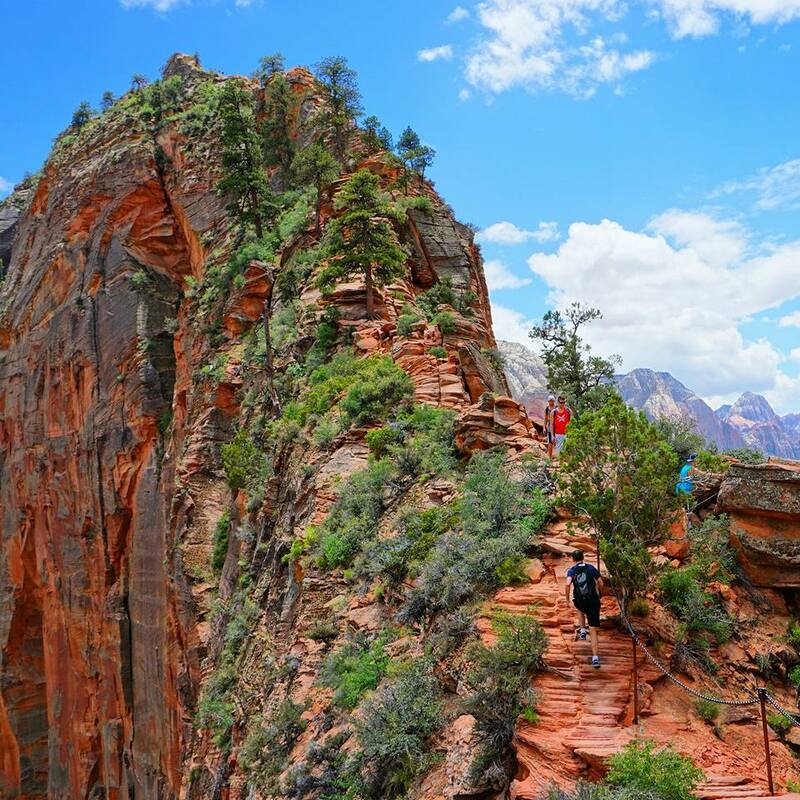 While this is one of the most popular hikes in Zion National Park, it is important that you are informed about the potential risks and dangers. The hike is quite strenuous and there are many sharp drop offs which is why it’s imperative to pay attention to your footing. Despite the warning signs which mention the several fatalities here over the last decade, I saw many hikers with children doing this hike. One young girl (not more than 8 years old) was almost in tears she was so scared. I also don’t recommend this hike to those with a fear of heights. There are some points where you can see the sharp drop offs on each side of you which can be intimidating for some. You know yourself better than anyone — use common sense and don’t do this hike when there is high winds, rain, thunder and lightning storms, or if there is snow or ice on the trail. Your safety is your responsibility. While I have gone on several hikes, this was my most challenging one to date. My legs were sore the next day, but it was totally worth it! 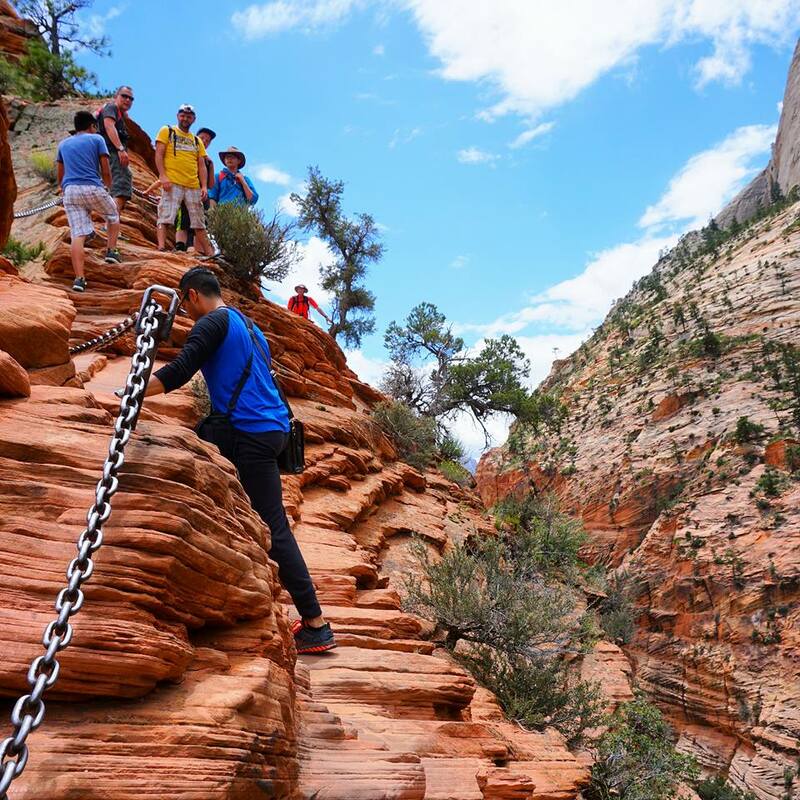 I’d love to check out some more trails in Zion someday, and would recommend Angel’s Landing Trail to any adventure seeker who is in relatively good shape. 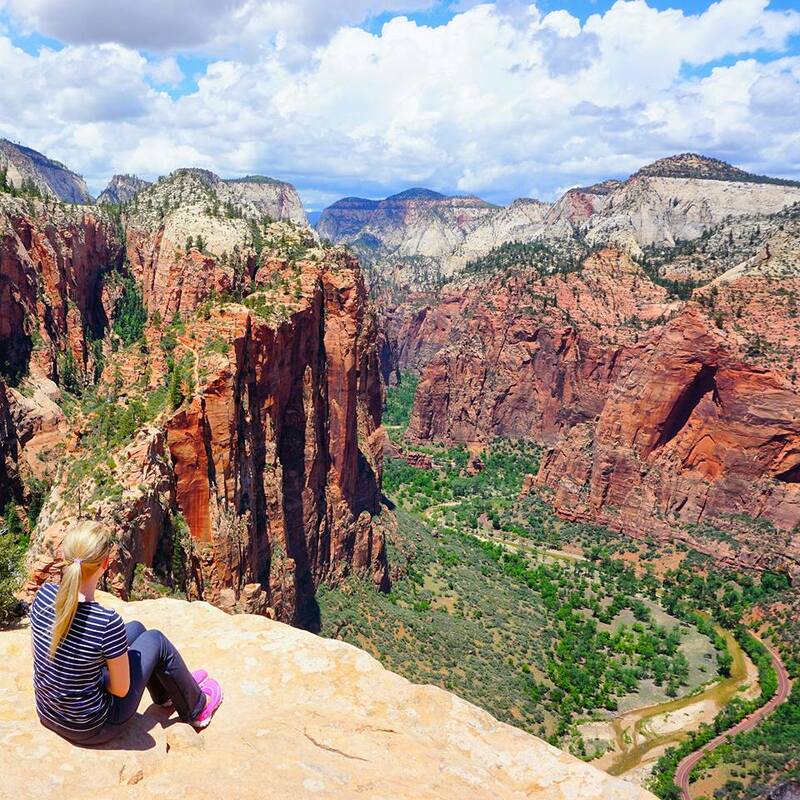 Over to you — have you ever been to Zion National Park?